Visayas has been on the news since October. First, the magnitude 7.2 magnitude quake that hit the Central Visayas region which had inflicted damage to properties and lives, including century-old churches of Bohol and Cebu. Just two weeks ago, super typhoon Yolanda (international name: Haiyan) had wreaked unimaginable havoc to the Visayas Region; Easter Visayas was worst hit by the super typhoon. With winds reaching up to 315 kph, everything was diminished into pieces. Yolanda had claimed so much lives and properties and it was a hard lesson to all of us. Here's a quick round-up of my epic Visayas trip last year, way before the strong Central Visayas quake and Yolanda. Conquering the highest peak of Cebu, Osmeña Peak, was a bit challenging for starters like me. But, I got to see the beautiful scenery of southern Cebu upon reaching the summit. Also, swimming with the whale sharks of Oslob was a surreal moment for me. I never thought that I'd be swimming with fishes as big as a school bus. 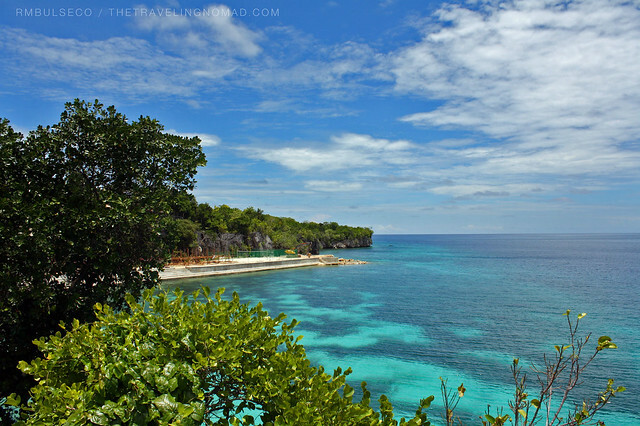 Moving south, Siquijor was an enchanting island, and I immediately fell in love with it. It was love at first sight, to be honest. The century old Balete tree looked scary especially on night time, but I still had my pictures taken with the tree (LOL good thing there were no not-like-ours in the photos... I guess they were sleeping or they're just shy). 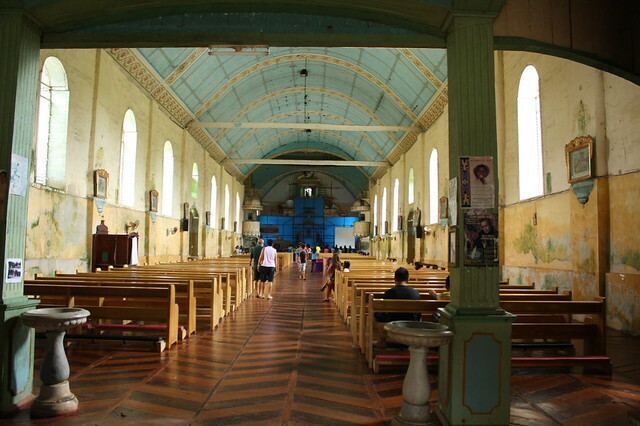 Exploring the old town of Siquijor brought me back to time as I entered the century old church and convent. Salagdoong Beach was the BEST public beach I have ever visited and I'd probably live there forever (as long as there's stable internet connection). 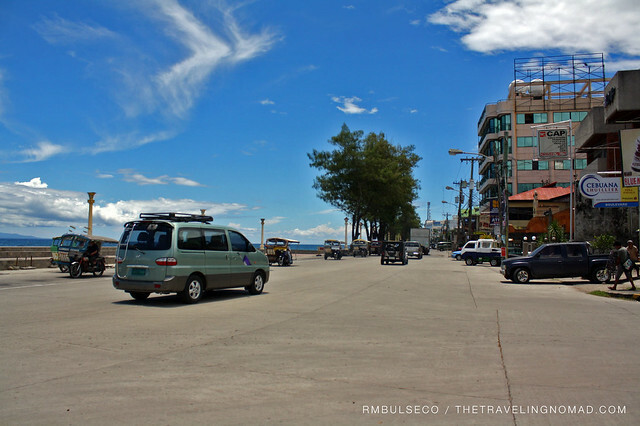 Dumaguete, or popularly known as Dumsville was a quaint city and offers cheap thrills. I miss Cafe Noriter and even their Silvanas. Cheap yet so delicious! It was a year-ender trip. It was also my first time to travel with some travel bloggers from Manila and Cebu. It was such an awesome trip and I'd never forget this particular adventure. Bantayan and Malapascua are both clean and organized islands. I was deeply saddened when they were hit by Yolanda two weeks ago. So far, base from the news and social media, relief goods were now being distributed to these islands. Showing you some photos of my Malapascua and Bantayan Island trip. Whoa, I can't believe that I had visited these islands almost two years ago! I am urging everyone of you here to visit these two islands of Northern Cebu. Western Visayas was not spared by Yolanda. Some towns in Iloilo province were completely damaged brought about by the strong winds and torrential rains of Yolanda. For the first few days after the storm, major road networks were impassable, thus relief goods didn't come on time. But as days went by, relief goods were soon distributed to the affected towns. This is also true to some towns in Central and Eastern Visayas. 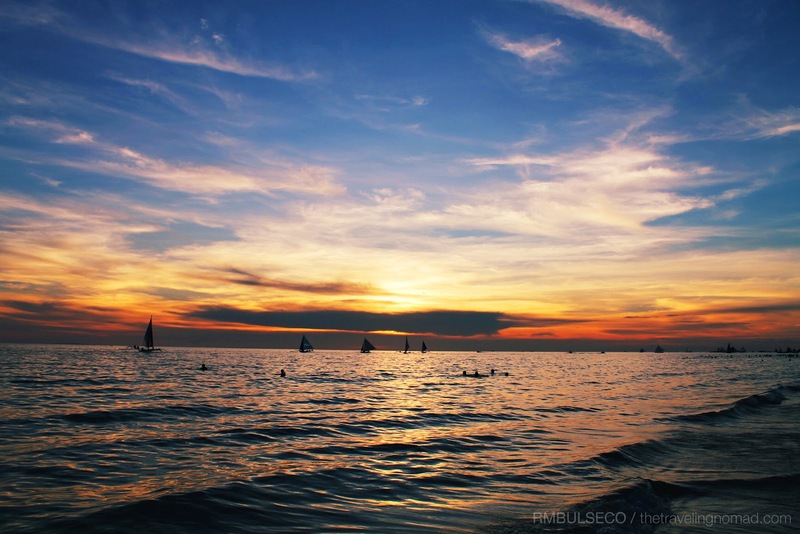 These are some of my photos of my Western Visayas adventure. I have visited Iloilo City, Guimaras Island, and Boracay. The Philippines has its fair share of stories of disaster, despair, and new hope. Take these for instance: The notable Luzon Killer Earthquake that struck Central and Northern Luzon last July 1990, the powerful eruption of Mount Pinatubo - it just didn't claim thousands of lives of millions worth of properties but it had decreased the global temperature of at least 1 Farenheit, the flash flood of Ormoc, super typhoon Rosing, tropical depression Ondoy, and many more. We have been through all of this. Although I am not saying that the Filipinos are resilient. We are all but human and we can't help but to feel down in times of despair and hopelessness. But then again, we have no choice but to move forward. We may have a painful past but it's a tough lesson to all of us. Everything had been smashed into pieces, including the dreams and aspiration of some. But, there is hope. Cliche as it may seem, but there's always a rainbow after the rain. As I watch the sun slowly descend upon the world, I am always struck by a strange and timeless thinking that the world is still full of possibilities. I feel a connection to the grand, elusive scheme intertwining to all of humankind, and I am struck by something undefined. Even though I can't define that thing, it still compels me to do better with my life than what I have done so far. I am confident that I am not the only one who feels this odd emotion while gazing at a sunset. It's definitely not a feeling of remorse or regret, but rather reminiscing those things that we've lost in life, and all the mistakes that led them to that place. This is, in fact, something different, something full of potential and something hopeful. 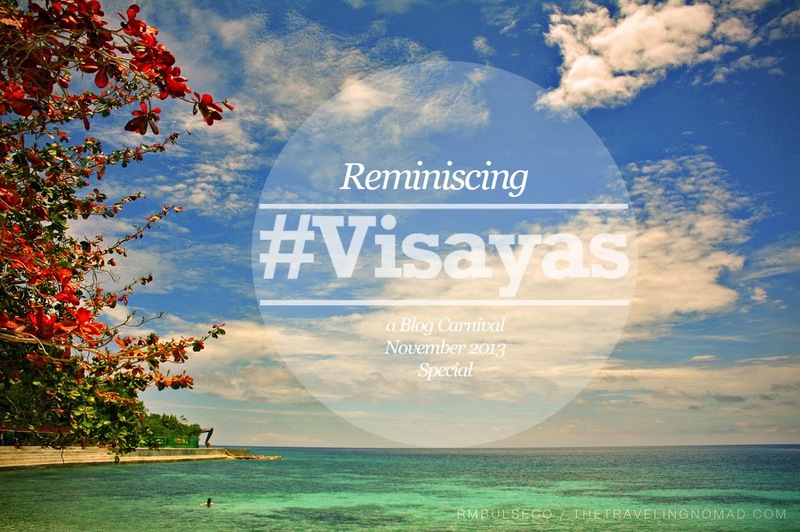 This is my contribution to the November 2013 blog carnival of the Pinoy Travel Bloggers, called Memories of the Visayas, hosted by Grasya Bangoy of This Grasya on the Road. 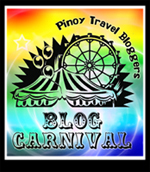 Click here for the blog carnival's archive. My friends said, some places are beautiful and quiet, and I really wants to visit it. I'm from Western Visayas too. I am very happy to know that you've been in our place here in Negros recently. It is from you that I know that Dumaguete is also known as Dumsville. Thanks for the info. My friends from Dumaguete call their hometown as 'Dumsville'. Sounds catchy to me. 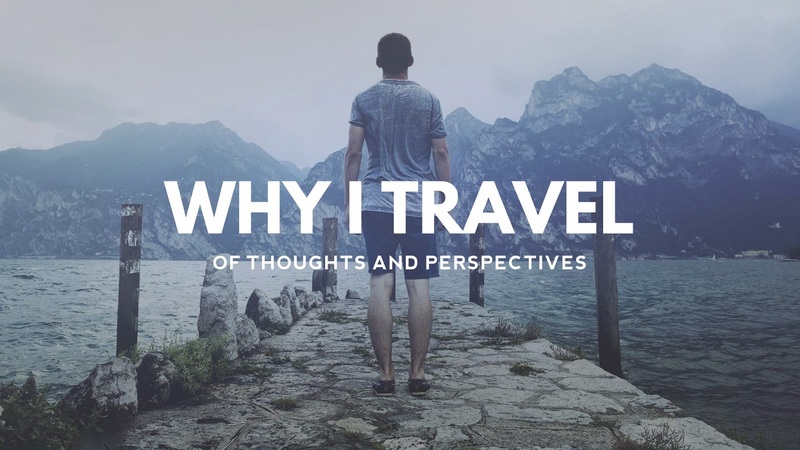 The Visayas though the tinies of three major areas in the Philippines is very rich in attractions both historical like Cebu and nature like the numerous beaches along the region. Grabe ang Visayas karon ba.. Bugbog kung bugbog, Seeing the Bohol churches nga nabungkag made me feel sooo sad. We've been to Baclayon Church then sa Chocolate Hills, then naa si mareng Yolanda nga ningbisita, claiming thousands of lives.. I wish our brothers and sisters from Visayas would go back to their normal lives soon. Just looking at your Bantayan photo, Sta. Fe Pier, the friendly and hospitable people of Bantayan Islands reminds me of good and unforgettable memories. How many years do you think this region in the Philippines will get to be rebuilt and restored? I have heard comments like the government intends to just relocate people's houses and make Visayas a tourist spot. Once I was in Cebu, and hoping to visit more islands in the Visayas. Too bad, maybe for the longest time not - I would only want to visit when Visayas revives its beauty. Thanks for the virtual tour of the places you've visited. That 100 year old Balete Tree is something I like to see with my very own eyes. I have been to Guimaras earlier this year (2013), I was with some friends and we enjoyed island hopping, my favorite was Guisi Beach. I have also been to Siquijor, it was a nice place with great beaches. I have yet to visit Bantayan Island in Cebu but would love to go there someday. The last time and my latest travel in Visayas was in Cebu. I planned to continue my Visita Iglesia in Ilo-ilo which until now still a plan. (hehehe).